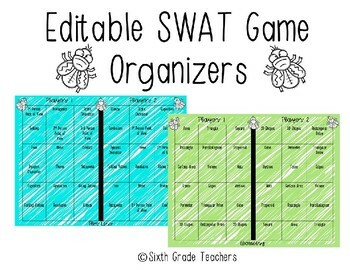 The Editable SWAT Game Organizers are a fun and interactive way to review key vocabulary or concepts from any subject! 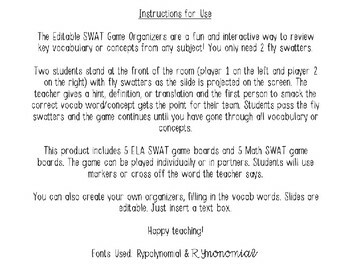 This product includes 5 ELA SWAT game boards and 5 Math SWAT game boards available in color and black and white. You only need 2 fly swatters! Two students stand at the front of the room (player 1 on the left and player 2 on the right) with fly swatters as the slide is projected on the screen. The teacher gives a hint, definition, or translation and the first person to smack the correct vocab word/concept gets the point for their team. Students pass the fly swatters and the game continues until you have gone through all vocabulary or concepts. 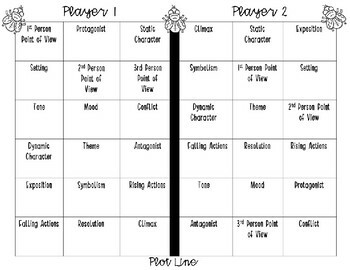 The game can also be played individually or in partners. Students will use markers or cross off the word the teacher says. 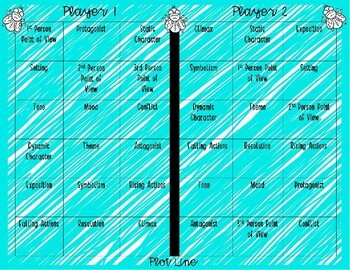 You can also create your own organizers, filling in the vocab words. Slides are editable. Just insert a text box.